Cornelius Van Til | J.W. Wartick -"Always Have a Reason"
Cornelius Van Til and John Warwick Montgomery are two of the most prominent defenders of opposing views of apologetics. Van Til defends presuppositionalism, an apologetic method that is founded on the notion that God’s existence must be presupposed–it is the beginning of the reasoning process rather than the end. Evidentialism is a school of apologetics that seeks to show that evidences–often historical evidence for the Resurrection–yield the conclusion that God exists and that Christianity is true. 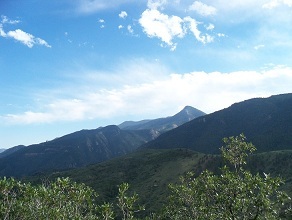 One of these views (presuppositionalism), in other words, argues top down by assuming God exists and showing how the world cannot be understood without that posited fact; the other (evidentialism) goes bottom up, showing how beliefs that are, purportedly , shared by Christians and non-Christians may demonstrate the truth of Christianity. What makes these two particularly interesting is that they each offer a kind of parable for their position. These parables each, individually, reveal much about how the apologist thinks apologetics ought–and ought not–to be done. Though their parables are too long to post in their entirety, we will here examine some key aspects of both Van Til’s and Montgomery’s picture imagery about how apologetics should work. Cornelius Van Til’s apologetic approach is illustrated in an extended section of his work The Defense of the Faith. Here, he utilizes three men: Mr. White (standing in for the presuppositional apologist), Mr. Grey (standing in for the evidential–he calls “Romanist-evangelical”–apologist), and Mr. Black (standing in for the non-Christian) in dialogue with each other to illustrate how he believes apologetics should work, as well as what he sees as fatal objections to his opposition. The section in question is found in p. 312-340 of the aforementioned work. Van Til argues that Mr. Black will be more comfortable with Mr. Grey because Mr. Grey concedes some ground to him: “Mr. Grey uses the Bible, experience, reason, or logic as equally independent sources of information about his own and therefore about Mr. Black’s predicament” (313). Though he concedes that Mr. Grey may see the Bible as “by far the most important” of these sources, the problem is that he sees these sources of knowledge independently. A problem that develops over this dialogue as Van Til develops it is that Mr. Black refuses to see himself as a lost person in need of repentance, and so Mr. Grey’s position cannot challenge the foundation of his view: a rejection of the authority of the Bible. Mr. Grey can stand on “common ground” with Mr. Black (320) and this allows for a quicker response from Mr. Black to Mr. Grey than to Mr. White. Here, of course, we begin to see Van Til’s explicitly Calvinist/Reformed position come through. It is simply the case that Van Til believed that his position was such that it would offer an absolute refutation of all but the Calvinist/Reformed position, in addition to being used with non-Christians. This limits the applicability of his argument a bit for those who do not accept that position, but we’ll press on. This, for Van Til, is where the evidentialist argument completely collapses. Because they fail to have an objective basis for believing in God/Christ, they ultimately concede the position to the non-Christian, allowing only for subjective witness to the truth of Christianity. Because Mr. Grey concedes that Mr. Black can reason independently of the truth of the Bible, he allows Mr. Black to use his independent reason to utterly reject the same. This concession is seen when Mr. Grey “nods approval” to Mr. Black’s argument that “unconditional surrender to the authority of Scripture is irrational” (332). He does the same when Mr. Black objects that it is rationalistic (ibid). Further, because Mr. Grey admits of “possibility” rather than certainty when it comes to arguments about the existence of God, he allows the non-Christian Mr. Black to reject God based on “possibility” as well. Probability does not yield certainty, so certainty is what is required. Only Mr. White’s position which argues from absolute certainty by presupposing the truth of the Bible is capable of granting an objective basis for affirming God’s existence and Jesus Christ as God, in addition to many other Christian doctrines. Thus, for Van Til, the necessity of his position is proved by the argument that, without such a presupposition, the non-Christian may be perfectly comfortable rejecting Christianity through means of “probability” already present in his or her view of the world. Shadok: You will never discover the truth, for instead of subordinating yourself to revelation truth (Bible-SH), you sinfully insist on maintaining the autonomy of your fallen intellect. The conversation goes on, referencing Van Til’s insistence on the notion that the non-Christian wears colored glasses that make it impossible for them to see anything outside of their single-hued world. Montgomery concludes “The hopelessness of this encounter should be painfully evident. Neither viewpoint can prevail, since by definition all appeal to neutral evidence is eliminated” (115, emphasis his). Thus, John Warwick Montgomery’s own parable is a counter to Van Til’s, one which argues instead that neutral evidence–evidence that Mr. Grey, Mr. White, and Mr. Black all have access to–must exist, for otherwise they would have nothing to which they could appeal to determine who is right. These hint at a much broader debate, largely centered around the nature of facts. The presuppositionalist argues there is no neutral ground (a position that appealed to me enough at one point [almost 10 years ago! ah!] to write a post on it). The evidentialist argues that, quite contrary, there must be neutral facts because otherwise no one could determine whether their own view is correct. The presuppositionalist responds by arguing that it is only by presupposing the one true worldview (eg. Christianity) that one may correctly analyze facts. Indeed, it is perfectly possible to appeal to facts, not because they are “brute” or “neutral,” but because worldviews other than Christianity are necessarily inconsistent. That is, it is certainly possible for any non-Christian to know truth, but only because they have inconsistently turned from their worldview to adopt presuppositions of Christianity on certain points. The extent to which the non-Christian has true knowledge, then, is the extent to which their own worldview is inconsistent. At this point, readers may wonder how these two contrary positions could ever meet. I honestly begin to despair myself, trying to draw this to a close. Rather than attempting to offer decisive conclusions in this debate that has gone on for years and thousands upon thousands of words, I want to offer a few of my own observations. First, it seems to me that, supposing presuppostionalists are correct and there is no neutral ground, it is impossible to engage with other worldviews without making a practical, working assumption that there is such neutral ground. Though the presuppositionalist may be correct in that the non-Christian is inconsistent at every point they can agree on facts, they must come to some facts that they do agree on. At that point, the presuppositionalist may point out the non-Christian is inconsistent, and thus build their case from there, but it is only at that point that the methods truly diverge. Indeed, when one observes someone like Greg Bahnsen in debate (a review that is probably more favorable than I would be now), one sees the vast difference in method from someone who uses a more evidential or classical approach. But my point is that, on a practical level, there isn’t actually a huge difference between the evidentialist and the presuppositionalist when it comes to utilizing facts. They may both object to this, but the presuppositionalist would point to a fact (which they would, yes, hold may only be properly understood or believed from a Christian perspective) that Jesus was in fact crucified and died in order to show the truth of the Resurrection, and the evidentialist would point to that same fact, though their overall cases may differ. It is only when the presuppositionalist moves to the overarching, so-named transcendetal argument that the methods would radically differ. Now, plenty of presuppositionalists would use the TAG (transcendental argument for God) immediately, so their method will be quite different. It does seem to me that the above comments yield the notion that presuppositionalism may be a bit too strong in its utter denial of any possibility of contact with the unbeliever. On an objective, totally abstract level one may concede that. But given that human language works for communication, there must be points of contact. Sure, that may mean the non-Christian is inconsistent on that high, abstract level, but it also means that the presuppositionalist can operate around the same when it comes to offering evidence–which itself falsifies the accusation that presuppositionalists don’t utilize evidence. Another possible negative of the presuppositional view is that it is unfalsifiable, because at every point on which there is disagreement, the presuppositionalist may simply appeal to a misunderstanding. Like John Warwick Montgomery’s parable, they may simply assert the non-Christian is not understanding or suppressing the truth, and that’s why they don’t acknowledge it. Of course, some presuppositionalists may see this unfalsifiability as a strength of their position, which, they might argue, yields certainty of belief. But then, we come full circle into the notion that any other unfalsifiable view could appeal to the same reasoning. I hardly think I’ve solved these problems, but it is a worthy exercise for those interested in apologetics to engage with these two divergent methods and try to learn from them. For myself, I think an integration of various methods works best. All quotations used are from the works cited and used under fair use for purposes such as criticism. Cornelius Van Til, The Defense of the Faith (Phillipsburg, NJ: P&R Publishing, 2008). Gary Habermas, “Greg Bahnsen, John Warwick Montgomery, and Evidential Apologetics.” https://digitalcommons.liberty.edu/cgi/viewcontent.cgi?referer=https://www.bing.com/&httpsredir=1&article=1108&context=lts_fac_pubs. Accessed January 2019. Greg Bahnsen, “A Critique of the Evidentialist Apologetical Method of John Warwick Montgomery.” http://www.cmfnow.com/articles/pa016.htm. Accessed January 2019. John Warwick Montgomery, Faith Founded on Fact (Edmonton, AB Canada: Canadian Institute for Law, Theology, and Public Policy, Inc., 2001). I say “purportedly” because presuppositionalists would deny that non-Christians may share any beliefs with Christians. By not having the same starting point–God–all other facts come into question. Really Recommended Posts 4/8/16- Lewis, Van Til, headship, and more! Just got back from vacation in Washington state. Wow, it is beautiful there! Anyway, I have another round of links for you, dear readers. We have free writings from Cornelius Van Til, a problem for post-Flood models of diversification, C.S. Lewis, and discussion of “male headship.” Check them out and let me know what you think! Cornelius Van Til free downloads– Cornelius Van Til was an advocate of presuppositional apologetics. I have written extensively on presuppositionalism myself. Van Til is probably the best-known advocate of the method. Here are free readings from him. Christian Thinkers 101: A Crash Course on C.S. Lewis– C.S. Lewis is one of the greatest Christian thinkers of the 20th century. Here’s a great post (with infographic!) that gives tons of information on his life and thought. 5 Myths of Male Headship– The concept of “headship” is often a product more of our own assumptions than of the biblical text. Here is a post that shows 5 myths about male headship that are often assumed. Although there is widespread agreement over the need to have a defense of the faith (a biblical charge–1 Peter 3:15-16), there is much disagreement over exactly how that defense should proceed. Brian Morley’s Mapping Apologetics is a way forward in helping interested readers discern how they may defend the faith. There are few books that deal exclusively with apologetic methodology by outlining various approaches. Perhaps the most comprehensive is Faith Has Its Reasons by Kenneth Boa and Robert Bowman, Jr. Mapping Apologetics is distinguished from this other excellent work by having a narrower focus that provides more in-depth comments on the individual proponents of the various systems. Whereas Faith… attempts a synthesis of the varied methods, Mapping… is geared more towards giving readers understanding of each method. After a couple introductory chapters on apologetics in the Bible and history, the following chapters each highlight individuals who are major contemporary proponents of different apologetics methods. Included are such people as Cornelius Van Til, Alvin Plantinga, E.J. Carnell, Richard Swinburne, William Lane Craig, and John Warwick Montgomery, just to name a few. Each of these chapters presents an extended overview of the apologist’s method of defending the faith along with several quotes and often detailed analysis of their primary arguments with examples. Thus, readers are given the resources to compare and contrast the various approaches on the level of the actual arguments and counter-arguments presented. The people chosen are each major contributors to their specific variety of apologetics, so both those who are well-versed in apologetics and those who are just beginning will get insights from top defenders of the faith. I personally have an MA in Christian Apologetics, and I was familiar with each author, but the way that each was presented gave me a good refresher on their method and primary arguments–and sent me scampering to re-read some of my favorites! The book includes some great follow-up questions after each chapter to help readers review the material in the chapter, along with useful further reading sections for those interested in learning more about specific defenders. Each chapter also includes criticisms of the specific type of apologetic the individual puts forward. These are often only about 1 1/2 to 2 pages, though, and it would have been nice to have a bit more space dedicated to the critiques and rebuttals to each approach. Morley also very quickly dismisses the fideistic approach as being “unbiblical” with only a brief argument. Although I am not at all a fideist, I do think that the approach has at least some merit and the aforementioned work by Boa and Bowman has some great insights into how it might also offer some insights into apologetics. 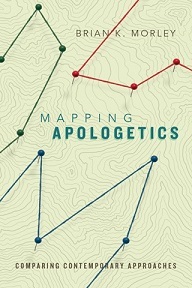 Mapping Apologetics is an excellent read for those interested in apologetic methodology, with sympathetic interpretations of many of the primary contemporary defenders of each approach. I recommend it highly for those interested in apologetics and how we are to defend the faith. Disclaimer: InterVarsity Press provided me with a copy of the book for review. I was not obligated to provide any specific kind of feedback whatsoever, nor did they request changes or edit this review in any way. Brian Morley, Mapping Apologetics (Downers Grove, IL: InterVarsity, 2015). 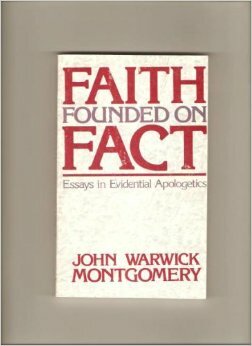 John Warwick Montgomery (hereafter JWM) is about as evidentialist as they come, and Faith Founded on Fact: Essays in Evidential Apologetics is a collection of his essays which shows, through application, his apologetic method from a number of contexts. Here, I will go through the book to highlight main points of the individual essays and the book as a whole. Then, we’ll discuss some of the main theses in the text. Be sure to leave a comment to let me know what you think of JWM’s theses. JWM surveys various attacks on the practice of evidential apologetics and argues that they fail (28ff). Although he deals with various liberal objections to apologetics, the core of his concern is for the objections raised by those who feel as though the evidentialist approach does injustice to faith. In response, he notes that any approach which removes Jesus from historical investigation–from hard evidence capable of being explored by all–reduces Him to a “historical phantasm” and does injustice to the reality of the incarnation (34-35). The possibility of miracles and the argument of Hume engages in “circular reasoning” for Hume’s argument relies upon “unalterable experience” which is, of course his own experience and that of those who agree with him. Moreover, the definition of miracle has been slanted in such a way as to make it either irrelevant or beyond the realm of evidence by various parties (46ff). A case study of the miracle of the resurrection provides proof that miracles may be examined with an evidentialist mentality, for any who wish to deny the notion must relegate history to a place which may never be accessed through evidence (56ff). JWM analyzes Muslim apologetics and concludes that it provides a number of lessons for Christian apologetists. Among these is the notion that merely showing the falsity of other religions is not enough for an evidential defense (93-94), the notion that “no religion is deducible from self-evident a prioris…” (97), and mere appeal to “try out” a religion is not enough to establish its credibility (98). One of JWM’s most famous (or infamous, depending upon your view) essays is “Once Upon an A Priori,” in which he launched a broad-spectrum attack on presuppositional apologetics as a methodology. In this essay, JWM argues that when one suggests there is no neutral epistemic ground between two positions whatsoever–as presuppositional apologists do–“Neither viewpoint can prevail, since by definition all appeal to neutral evidencve is eliminated” (115). Because there are no neutral facts, there can be no appeal to facts to make one’s case; instead, all one is able to do is argue in circles against each other… “appeal to common facts is the only preservative against philosophical solipsism and religious anarchy…” (119). Instead, Christians must, like Paul, “become all things to all” people (122) in order to make the case for Christianity. The practice of apologetics, for JWM, is intended to break down the barriers to belief. But the evidences are so strong that they obligate belief in Christian theism. However, the work of the Spirit is the work of conversion. The “evidential facts are God’s work, and the sinner’s personal acceptance of them… is entirely the product of the Holy Spirit” (150). After an essay appealing to Christians to continue to use mass communication to spread the Word, JWM turns to “The Fuzzification of Biblical Inerrancy.” By “fuzzification,” he means (following James Boren), “the presentation of a matter in terms that permit adjustive interpretation” (217). In its application to inerrancy, it means the constant adjustment of inerrancy to make it invulnerable to attack in often ad hoc ways. What one is left with is “inerrancy devoid of meaningful content…” (223). In order to combat this, JWM suggests explicit definitions of terms such that one has a firm grasp upon what is meant by inerrancy, rather than a constant modification of the term and meaning. There are a few areas of disagreement I would express with JWM’s theses. First, his apparent dismissal of the practice of taking the “falsity of one religion” as proof of another (93-94). He is correct in that the falsity of any given religion does not entail the truth of any other one. However, it seems to be the case that the falsity of any one religion does entail that any which have not been proven false are inherently more probable. Second, I think his reaction against presuppositionalism has led him to reject all of its tenets a bit too vehemently. For example, it seems to me that in his rejection of the notion there can be “no neutral ground” he also seems to jettison the notion that facts are interpreted no matter what the facts are. However, at times it is difficult to distinguish whether he is making a statement in a vaccuum or against a context. In relation to “facts,” he clearly holds the facts are determinative enough to demonstrate Christianity; but he also holds that people will not accept said facts other than through God’s action. Thus, perhaps the gulf between his position and that which he rejects is not so wide. These disagreements aside, I also have enormous respect for and agreement with much of the content of Faith Founded on Fact. JWM effectively disposed of any apologetic method which inherently ignores the value of evidentialist reasoning, and he did so through not only apologetic but also theological reasons (i.e. it turns Christ into an “historical phantasm”). Moreover, his critique of presuppositional methodology–though at times off base (as noted above), does not entirely miss the mark. In particular, his critique that presuppositionalism voids any kind of objective method for determining facts is troubling for those who have presuppositional tendencies (readers should note that I myself think presuppositionalism has some merit–see my posts on the topic). Faith Founded on Fact, put simply, is fantastic. In this review, I have only surveyed a small number of the areas I found to be of note throughout the work. JWM is witty and clever as usual, but he also raises an enormous number of points to reflect upon whether one agrees with his views or not. He offers a number of ways to approach apologetics from an evidentialist perspective, while also offering some devastating critiques of those who would allege that evidentialism fails. The book is a must read for anyone interested in apologetics. “How Much Evidence to Justify Religious Conversion?” – John Warwick Montgomery on Conversion– I summarize and analyze an incredible lecture given by John Warwick Montgomery which I had the pleasure of attending at 2012’s Evangelical Theological Society Conference. JWM argues for an evidential view of religious conversion. John Warwick Montgomery, Faith Founded on Fact: Essays in Evidential Apologetics (Edmonton, AB, Canada: Canadian Institute for Law, Theology, and Public Policy Inc., 2001). It is clear that all things are ordered according to the perfect will of the Lord. If the Lord’s reasons for some state of affairs are inscrutable, does that mean that they are unjust? (Augustine, City of God Book V, Chapter 2). The problem of evil is the most pervasive argument used against Christianity. It also causes the most doubts among Christians. I know I can attest to crying out to God over the untold atrocities which continue to happen. Yet very often, I think, we are asking the wrong question. Here, I’ll explore the ways the problem of evil is presented. Then, I’ll offer what I think is a unique answer: the presuppositional response to the problem of evil. Finally, we’ll evaluate this response. The problem of evil is posed in a number of ways, but here I’ll outline two varieties. God is said to be all powerful and all good, yet evil exists. Thus, it seems that either God does not want to prevent evil (in which case God is not all good) or God is incapable of preventing evil (and is thus not all powerful). Evil on its own may not prove that God does not exist (the logical/classical problem of evil), but it seems that surely the amount of evil should be less than what we observe. Surely, God is capable of reducing the amount of suffering by just one less child being beaten, or by one less tsunami killing hundreds. The very pervasiveness of evil makes it clear that no good God exists. One of the insights that we can gain from presuppositional apologetics is that it forces us to look at our preconceived notions about reality and how the impact our answers to questions and even the questions we choose to ask. The way that the problems of evil are outlined provides a prime example for how presuppositional approach to apologetics provides unique answers. The presuppositional answer to these problems of evil is simple: If a good God exists, then these are not problems at all. Of course, this seems overly simplified, and it is. But what the presuppositionalist is emphasizing is that the only way to make the two problems above make sense is to come from a kind of neutral or negative starting presupposition. The only way to say to construct the dilemma in the classical/logical problem of evil is to assume that there is not an all-powerful and all-good God to begin with. For, if an omnibenevolent, omnipotent being exists, then to say that God does not want to prevent evil seems false; while to say that God is incapable of preventing evil is also false. Thus, there would have to be a third option: perhaps God reasons for allowing evil are inscrutable; perhaps the free will defense succeeds; etc. Only if one assumes that there is no God can one make sense of the logical problem of evil to begin with. Who has a claim against me that I must pay? The answer must come with humility: no one has such a claim. There is none who can claim that God owes them one thing. Yet this is not all an appeal to God’s sovereignty. Instead, it is an appeal to God’s goodness. Thus, the strength that one assigns to the problem of evil ultimately depends quite a bit upon one’s presuppositions. If you believe you have good reason for thinking that God exists, then the problem of evil seems much less powerful than if you believe there is no good reason for thinking God exists. Okay, so what’s the point? It may be that what we bring to the table does indeed alter our view of the problem of evil. Does that mean we are at a complete impasse? I think that this is where evidences come in, even on the presuppositional view. If all we have are presuppositions, then we are indeed stuck. But we must look at evidences to see whose presuppositions match reality. And, what we have done by centering the discussion of the problem of evil around presuppositions is to set it to the side. Surely the atheist would not suggest the Christian must abandon their presuppositions? It seems like a more rational perspective to look at the evidences. The presuppositionalist holds that when it comes to evil, it is really just a matter of presuppositions. If a Good God exists, we can trust God. The Presuppositional Apologetic of Cornelius Van Til– I explore the presuppositional method of apologetics through a case study of the man who may fairly be called its founder, Cornelius Van Til. Debate Review: Greg Bahnsen vs. Gordon Stein– I review a debate between a prominent presuppositional apologist, the late Greg Bahnsen, and a leading atheist, Gordon Stein. It is worth reading/listening to because the debate really brings out the distinctiveness of the presuppositional apologetic. I have explored this type of argument about the problem of evil before. See my post, What if? The “Job Answer” to the problem of evil. I review Greg Bahnsen’s Always Ready. The preceding post is the property of J.W. Wartick (apart from citations, which are the property of their respective owners, and works of art as credited) and should not be reproduced in part or in whole without the expressed consent of the author. All content on this site is the property of J.W. Wartick and is made available for individual and personal usage. If you cite from these documents, whether for personal or professional purposes, please give appropriate citation with both the name of the author (J.W. Wartick) and a link to the original URL. If you’d like to repost a post, you may do so, provided you show less than half of the original post on your own site and link to the original post for the rest. You must also appropriately cite the post as noted above. This blog is protected by Creative Commons licensing. By viewing any part of this site, you are agreeing to this usage policy. [A]ll men already know God–long before the apologist engages them in conversation–and cannot avoid having such knowledge… People lack neither information nor evidence… [A]ll men know that God exists… In a crucial sense, all men already are “believers”–even “unbelievers” who will not respond properly by openly professing and living obediently in accordance with the knowledge they have of God. (Greg Bahnsen, Van Til’s Apologetic , 179-180, emphasis his, cited below). What are we to make of this claim? What is the point from the presuppositionalist perspective? The claim is firmly rooted in Paul’s discussion of God’s wrath against evil in Romans 1-2 (see the text at the end of this post). Therefore, it behooves all Christians to reflect upon the notion that God is known to all people. Presuppositional Apologists have done much reflecting on these subjects, and here we shall reflect upon their insights. What is meant by ‘knowledge of God’? It is important to outline what exactly it is that this knowledge is supposed to be. Greg Bahnsen notes in Van Til’s Apologetic that the claim is, in part, that “[all people/unbelievers] ‘have evidence’ that justifies the belief that [God] exists” (182). Note that there is an important distinction within presuppositional thought about what this knowledge of God means. John Frame makes it clear that there is a sense in which the unbeliever knows God and yet another sense in which the unbeliever does not know God (Frame, The Doctrine of the Knowledge of God 49, cited below). According to Frame, the unbeliever knows “enough truths about God to be without excuse and may know many more…”; but “unbelievers lack the obedience and friendship with God that is essential to ‘knowledge’ in the fullest biblical sense–the knowledge of the believer” (ibid, 58). Furthermore, the unbeliever, according to Frame, is in a state wherein he fights the truth: the unbeliever denies, ignores, or psychologically represses the truth, among other ways of acknowledging God as the truth (ibid). Frame also makes clear the reasons why all people know God in at least the limited sense: “God’s covenental presence is with all His works, and therefore it is inescapable… all things are under God’s control, and all knowledge… is a recognition of divine norms for truth. Therefore, in knowing anything, we know God” (18). Frame elaborates: “[B]ecause God is the supremely present one, He is inescapable. God is not shut out by the world… all reality reveals God” (20). Therefore, this knowledge should be understood as the blatant, obvious awareness of God found in the created order. It is not saving faith or saving knowledge; instead, it is knowledge which holds people culpable for its rejection. All are accountable before God. Van Til notes, “It is… imperative that the Christian apologist be alert to the fact that the average person to whom he must present the Christian religion for acceptance is a quite different sort of being than he himself thinks he is” (The Defense of the Faith , 92). His meaning is directly applicable to the discussion above. Christian apologists must take into account the fact that the Bible clearly states that those who do not believe in God themselves know God already. Furthermore, this knowledge of God is of utmost importance. Bahnsen writes, “Our knowledge of God is not just like the rest of our knowledge… The knowledge that all men have of God… provides the framework or foundation for any other knowledge they are able to attain. The knowledge of God is the necessary context for learning anything else” (181). As was hinted at above, without God, there is no knowledge. Even the unbeliever relies upon God for any true beliefs he has. Van Til notes, “our meaning… depends upon God” (63). For presuppositionalists, this means that apologetics is reasoning with people who already know and use their knowledge of God to ground whatever knowledge they do have and bringing them to an awareness of their double-standards. They reject God in practice, but accept God in their epistemology. Thus, presuppositional apologists use the transcendental argument: an argument which seeks to show that without God, the things which we take for granted (knowledge, logic, creation, etc.) would not exist. Can evidentialists use the insights of presuppositionalists here as well? It seems they must; for the Bible does clearly state that everyone knows God. However, the way evidentialists may incorporate this insight is by using an evidential approach to bring the unbeliever into an awareness of the knowledge they are rejecting in practice. 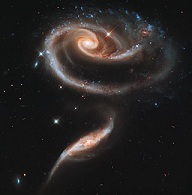 Thus, a cosmological argument might be offered in order to bring the unbeliever into an awareness that their assumptions about the universe can only be grounded in a creator. We have seen that presuppositional apologetists makes use of the knowledge of God attested in all people by Romans 1 in order to draw out a broadly presuppositional approach to apologetics. I have also given some insight into how evidentialists might use this approach in their own apologetic. We have seen that the core of this argument is that all people know God. Therefore, there are no true atheists; only practical atheists. All true knowledge must be grounded on the fact of God. There are none with an excuse to offer before God at judgment. God’s existence is clear. The unebeliever knows God. The wrath of God is being revealed from heaven against all the godlessness and wickedness of people, who suppress the truth by their wickedness, since what may be known about God is plain to them, because God has made it plain to them. For since the creation of the world God’s invisible qualities—his eternal power and divine nature—have been clearly seen, being understood from what has been made, so that people are without excuse. Unbeliever’s suppression of the truth-A brief overview of the notion that unbelievers are suppressing the truth from a presuppositional perspective. The Presuppositional Apologetic of Cornelius Van Til– I analyze the apologetic approach of Cornelius Van Til, largely recognized as the founder of the presuppositional school of apologetics. Choosing Hats– A fantastic resource for learning about presuppostional apologetics. Greg Bahnsen, Van Til’s Apologetic (Phillipsburg, NJ: P&R Publishing, 1998). John Frame, The Doctrine of the Knowledge of God (Phillipsburg, NJ: P&R Publishing, 1987). 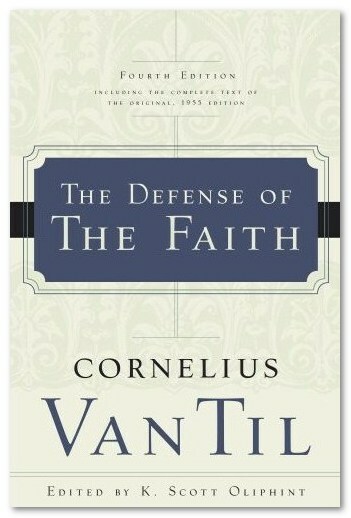 Cornelius Van Til, The Defense of the Faith (4th edition, Phillipsburg, NJ: P&R Publishing, 2008). Shedd Dogmatic Theology (3rd edition, Phillipsburg, NJ: P&R Publishing, 2003). Greg Bahnsen is well-known within the community of presuppositional apologetics (with good reason–see his debate with prominent atheist Gordon Stein). But what is presuppositional apologetics? How is it distinctive from other approaches to defending the faith? Bahnsen seeks to answer those questions (and more) in his work, Always Ready , which offers an introduction to the realm of presuppositional apologetics. In section one, Bahnsen introduces one of the most important aspects of the presuppositional approach: the focus upon the impossibility of epistemic neutral ground. Often, in debates over the verifiability of the faith, the believer is encouraged to set aside their neutrality. Bahnsen argues forcefully that to do so is not just to give up a great weapon in the defense of the faith; it actually damages one’s defense irreparably (3ff). Because of the impossibility of neutral ground, Bahnsen urges apologists to begin not with any supposed neutral ground, but rather with “fear of the Lord” (5). What does he mean by this? Simply put, “the Christian presupposes the truthful word o f God as his standard of truth and direction” (19, emphasis his). The Bible, in other words, is the epistemological starting point for the presuppositional apologist. Rather than starting with a defense of the Bible, the apologist is to start with the Bible as given. Bahnsen realizes that this point is the one which will likely be most contentious for those who oppose the presuppositionalist approach and thus he turns to a defense of the use of the Bible as an epistemological foundation. He argues that “God’s word has… absolute epistemic authority and it is the necessary presupposition of all knowledge which man possesses” (29). One argument against this presupposition is that it is dogmatic. The argument is made that one cannot simply presuppose their own position to take on all comers. Against this, Bahnsen argues that the presuppositional approach is in fact dogmatic because any approach is dogmatic. On a Christian perspective, knowledge without God’s Word is impossible. Therefore, a Christian cannot set that aside as though one could become “neutral”; in doing so, one has in fact rejected the Christian worldview (31, 7-9, 34, 36). Others may object that this seems to make any knowledge of non-Christians impossible. Again, Bahnsen corrects such a view, arguing that unbelievers “cannot but have them [knowledge of God as a presupposition for knowledge] as a creature made as God’s image and living in God’s created world” (38). In other words, he holds that the unbeliever unwittingly holds to Christian presuppositions in order to have any kind of knowledge. In principle, the unbeliever can have no knowledge; in practice, by borrowing from the Christian worldview, unbelievers have knowledge (ibid). Bahnsen does present several more arguments in favor of the presuppostional perspective, including an examination of the Christian perspective of the knowledge of unbelievers and the rebellion of those without God. Part of the distinctiveness of the presuppositional approach is that rather than approaching the defense of the faith as a cumulative case, it presents Christianity as a worldview to line up against other worldviews in conflict. The importance of this is emphasized by Bahnsen.”The Christian,” he argues, “can never be satisfied to defend [the faith]… by merely stringing together isolated evidences…. [which] will be evaluated… by the unbeliver’s tacit assumptions; his general world-and-life view will provide the context in which the evidential claim is understood and weighted. What one presupposes as to possibility will even determine how he rates ‘probability'” (67). Thus, if one offers an argument for the existence of God, that argument will be evaluated by the unbeliever within their own assumptions. According to Bahnsen, only by destroying those assumptions–only by pitting whole worldviews side-by-side and showing how they rate on coherence with reality–can one adequately do apologetics. Bahnsen then turns to an evaluation of the conditions necessary for successful apologetics (81-106). Largely, this includes God’s soverein control over all things and fleeing from sin. Perhaps the most illuminating portion of Always Ready is its presentation of various apologetic issues and the way that presuppositional apologetics provides answers to these arguments. For example, regarding the problem of evil, the presuppositionalist approach rests upon its usefulness as a paradigm of “worldviews in conflict.” Rather than trying to provide varied theodicies, the presuppositionalist argues, as does Bahnsen, “If the Christian presupposes that God is perfectly and completely good… then he is committed to evaluating everything within his experience in light of that presupposition” (171, emphasis his). Thus, on a presuppositional approach, the premise that “God has a morally sufficient reason for the evil which exists” is a given (172). For every evil, on the Christian worldview, God has a morally sufficient reason. Only by assuming that Christianity is false can one argue that the problem of evil is truly a problem. Thus, Bahnsen reevaluates the problem of evil as a psychological problem rather than a logical problem. It is a problem of trusting in God that God has good reasons for allowing evil (173). Challenges to miracles are also assessed in light of presuppositionalism. At the core of the presuppositianalist response is again the centralization of the conflict of worldviews. Only by assuming that miracles do not occur can one exclude them a priori from investigation. Thus, the unbeliever has begged the question and their argument is undermined (225). Bahnsen answers a number of other arguments from a presuppositional perspective, including challenges from the possibility of metaphysics, religious language, faith, and the like. The work ends with an extended investigation of Paul’s apologetic approach in Acts 17. Bahnsen argues that Paul’s approach was thoroughly presuppositional and that it acts as a model for the presuppositional approach to apologetics. There are a few flaws in the work, however. First, as is often the case, the presuppositionalism presented in this work is thoroughly Calvinistic. Simply being Calvinistic is not a flaw, but the way that Calvinism is presented by many defenders of presuppositionalism (Bahnsen, Van Til, Frame, and the like) is essentially as the one true faith. It is Calvinism or it isn’t Christianity. Frankly, that’s a huge problem. Setting that aside, the weakest point of the work is also its most important one: namely, the presupposition of the Bible as necessary for apologetics. There are a great many who are extremely skeptical of this approach. First, there is the charge of circularity, which presuppositionalists actually accept. Their response is that all worldviews are ultimately circular.The debate remains largely unsettled, but as for this reviewer, it is hard to accept that the entire Bible is a necessary presupposition for the defense of the faith. Finally, the dim view of individual evidences as useful for defense of the faith remains a problem within the presuppositional approach. That said, even if one rejects the possibility of presupposing the Christian worldview wholesale, one can still utilize the presuppositional approach in their apologetic. By focusing squarely upon defense of the faith as a clash of worldviews, Bahnsen has highlighted the extreme usefulness of pointing out how presuppositions can color one’s outlook on the interpretation of evidences and the investigation of other positions. Although readers may not be ready to embrace the whole of presuppositionalism, after reading Always Ready, they may be ready to integrate a number of presuppositional approaches into their apologetic. 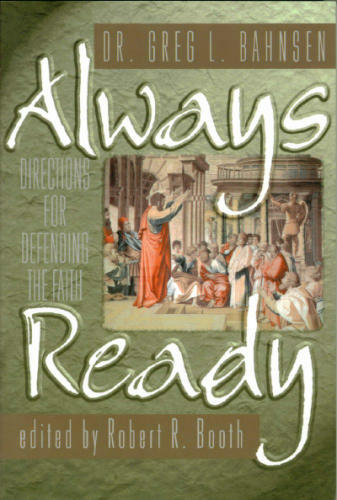 Greg Bahnsen, Always Ready (Nacogdoches, TX: Covenant Media Press, 1996). 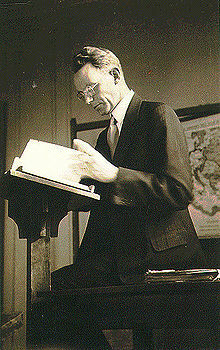 Cornelius Van Til pioneered the field of “presuppositional apologetics” primarily through his works Christian Apologetics and The Defense of the Faith . His arguments are easily misunderstood as question begging or viciously circular. Herein, I have presented a brief outline and analysis which reveals that while the presuppositional approach may indeed have some logical faults, the overall system has a certain power to it and can be integrated into a total-apologetic system. Van Til was very adamant that believers cannot and should not give up any ground to those who are non-Christian. He argued that “Christian theism is a unit. Christianity and theism are implied in one another… Christianity can never be separated from some theory about the existence and the nature of God” (Christian Apologetics, 17). Again, he is adamant: “We must defend Christian-theism as a unit” (The Defense of the Faith, 28). Along with his emphasis on defending Christianity as a unit, Van Til equally impressed the point of the extreme divergence of views between the Christian and the non-Christian. Apologetics must acknowledge the nature of man. Van Til placed particular emphasis upon the notion that apologists cannot ignore that “we shall have to choose between two theories of knowledge. According to one theory God is the final court of appeal; according to the other theory man is the final court of appeal” (The Defense of the Faith, 58). Because of this, “it becomes quite impossible…. [to] agree with the non-Christian in his principles of methodology to see whether or not Christian theism be true” (The Defense of the Faith, 118-119). The key to understand here is that Van Til does not accept that there is a neutral reason “out there” by which Christians and non-Christians can arbitrate the truth of Christianity; his point is that there is no neutral ground and that one’s presuppositions will determine one’s end point. Again, he writes, “this [apologetic method] implies a refusal to grant that any area or aspect of reality, any fact or any law of nature or of history, can be correctly interpreted except it be seen in the light of the main doctrines of Christianity” (Christian Apologetics, 124). However, Van Til takes it even further and argues that one must presuppose the truth of Christianity in order to make sense of reality: ” What is the content of this presupposition, then? It is this: “I take what the Bible says about God and his relation to the universe as unquestionably true on its own authority” (The Defense of the Faith, 253); again, “The Bible is thought of as authoritative on everything of which it speaks. Moreover, it speaks of everything” (Christian Apologetics, 19). Thus, Van Til’s apologetic does not make Christianity the conclusion of an argument; rather, Christianity is the starting presupposition. The presuppositional approach here cannot be stressed enough. For Van Til, one simply cannot grant to the non-Christian any epistemic point. “We cannot avoid coming to a clear-cut decision with respect to the question as to whose knowledge, man’s or God’s, shall be made the standard of the other. …[O]ne must be determinative and the other subordinate” (The Defense of the Faith 62-63). Mr. Grey… says that, of course, the “rational man” has a perfect right to test the credibility of Scripture by logic… by experience… [Mr. Grey then takes Mr. Black a number of places to show him various theistic evidences. Mr. Black responds:] “you first use intellectual argument upon principles that presuppose the justice of my unbelieving position. Then when it it is pointed out to you that such is the case, you turn to witnessing [subjectively]. It can be seen here that even evidences for Van Til must be based within a presupposition. There is no way to look at evidences in the abstract. One can either offer them within the presuppositions of Christianity or outside of Christianity. For Van Til, once one has agreed to offer evidences outside of Christianity, one has granted the presuppositions of the non-believer, and therefore is doomed to fail. His argument is therefore a type of “transcendental argument.” He argues that only within the Christian worldview can even the rationalism of the unbeliever make sense. Non-Christians may reject belief in God, but this is not a rational rejection, according to Van Til. Rather, “Sin will reveal itself in the field of knowledge in the fact that man makes himself the ultimate court of appeal… Man has declared his autonomy as over against God” (The Defense of the Faith, 58). Mankind is actively suppressing the knowledge of God. “It is not that we are merely brought into existence by God, but our meaning also depends upon God” (The Defense of the Faith, 63). 1) There is no neutral starting point between the Christian and non-Christian. One must presuppose either. 2) Christians should therefore presuppose Christianity in their apologetic and seek to show how only upon Christian presuppositions can one make sense of reality. 3) The transcendental argument: Only if God exists can their be a basis for morality, science, history, and rationality. I admit that I am quite sympathetic to those who argue this type of apologetic is viciously circular. For example, one proponent of Van Tilian apologetics is John Frame. In his defense of presuppositional apologetics, he writes, “Premise 1: Whatever the Bible says is true. Premise 2: The Bible says it is the Word of God. Conclusion: Therefore, the Bible is the Word of God” (Frame, 356, cited below). I can’t help but think that while this argument is deductively valid, using P1 is to beg the question against the non-Christian. But of course, that’s exactly what Van Til urges. One must start with Christian theism and the Bible as presuppositions and reason from there. Therefore, I’m inclined to think that presuppositionalism cannot stand on its own. However, I do think that Van Til’s method can be saved from logical absurdity and made applicable in a part of a “cumulative case” type of reasoning (or certainly, it could be paired with a type of Reformed Epistemology). The way I would propose for this is to utilize Van Til’s apologetic by showing Christians and non-Christians how philosophical presuppositions can color one’s evaluation of evidence and even of reasoning itself. Instead of offering only evidences or only witness in a vacuum, the Christian apologist should indeed focus upon how one’s presuppositions change one’s evaluation of evidence or witnessing. One presuppositional approach to the problem of evil can be found, I’ve suggested, in Job. Furthermore, it seems to me that the transcendental argument is extremely potent. By arguing that even the process of reasoning cannot make sense apart from God, Christians can effectively place the burden of proof upon their opponents to show how their system can cohere with reality. Finally, I can’t help but appreciate the tenacity with which presuppostional apologists, in the spirit of Van Til, pursue incoherent positions and actively turn people back to the presuppositional approach. The presuppositional apologetic, while not necessarily one I think can stand on its own, is extremely powerful. Reading Van Til leaves me at points breathless with his innovation and boldness; but at other points it leaves me frustrated. He is not easy to understand, nor are his arguments always convincing. Too often, he axiomatically states a position and assumes his argument has carried his point. However, one can hardly dismiss the whole of Van Til’s thought as useless to Christian apologetics. Van Til’s transcendental argument has staying power, and his urges to focus upon presuppositions cannot be ignored. This is but the first in a series of posts I have planned on presuppositional apologetics. I will be analyzing Van Til’s thought further, as well as diving into some other well-known proponents of presuppositionalism like John Frame, K. Scott Oliphant, and Greg Bahnsen. A few posts will focus on applied presuppositional apologetics. Cornelius Van Til, The Defense of the Faith 4th Edition (Phillipsburg, NJ: Presbyterian & Reformed, 2008). —-, Christian Apologetics 2nd Edition (Phillipsburg, NJ: Presbyterian & Reformed, 2003). John Frame, “A Presuppositional Apologist’s Closing Remarks” in 5 Views on Apologetics (Grand Rapids, MI: Zondervan, 2000). Proof that God Exists– an insightful view of presuppositional apologetics in practice. Choosing Hats– A mammoth collection of articles from a presuppositional apologetic. The preceding post is the property of J.W. Wartick (apart from citations, which are the property of their respective owners) and should not be reproduced in part or in whole without the expressed consent of the author. All content on this site is the property of J.W. Wartick and is made available for individual and personal usage. If you cite from these documents, whether for personal or professional purposes, please give appropriate citation with both the name of the author (J.W. Wartick) and a link to the original URL. If you’d like to repost a post, you may do so, provided you show less than half of the original post on your own site and link to the original post for the rest. You must also appropriately cite the post as noted above. This blog is protected by Creative Commons licensing. By viewing any part of this site, you are agreeing to this usage policy. It is often proposed that some worldview is “basic”, in the sense of being “the worldview from which all others should be judged.” This proposition is wholly false. Within any worldview (which will be interchangeably referred to as a “noetic structure”), certain premises are taken in some sort of presupposed form. For example, within Christianity, the existence of God, on that worldview, is a presupposition. This isn’t to say that one can’t argue for the presuppositions within one’s worldview. One can certainly argue for the validity of one’s presuppositions, but this in itself doesn’t change the fact that every worldview is built upon some background. I have seen it claimed that atheism does not or cannot constitute a worldview. This is also false. Any human being has his or her own noetic structure from which he or she judges the probability of propositions. Various atheists are not immune from having noetic structures or beliefs. As Stephen Parrish writes, in God and Necessity, “…there are differences in the way people judge the probability or plausibility about the truth of certain propositions, and these judgments are made on the basis of the noetic and probability structures which are believed in” (147). It is simply not possible to divorce oneself from one’s presuppositions. Thus, it is impossible to declare some worldview “neutral” and determine that from this worldview, all others should be judged. I would call this the height of self-edification. Christians, Buddhists, atheists, agnostics, etc. all have certain presuppositions within their worldviews which will make the propositions of other worldviews more or less likely. One cannot retreat to, say, agnosticism and argue that one will then judge everything from that “neutral” worldview, for everyone is going to maintain some kind of noetic structure which will, in turn, define what propositions are to be believed–or even considered. Further, it’s not as if retreating from belief in all gods or affirming that there is no god–that is, atheism in its varied forms–will allow one to stand on “neutral” grounds in order to judge worldviews. Instead, the presuppositions within an atheistic worldview will serve to confirm that noetic structure. Again, as Parrish writes, “[r]ealistically, for many thinkers, no amount of evidence would ever be enough to justify a belief in God or miracles” (157). This, of course, is due to the noetic structures which are presupposed. “Every person capable of considering or having an opinion on issues brings with them a specific noetic structure or world-view accompanied by a corresponding probability structure. If a person did not bring this component to the debate he would be unable to formulate an opinion, as he would have no way of judging probability. So before considering the evidence on a particular issue, there must already be in place a noetic and probability structure. Probability is inherent in one’s world-view and thus is used in judging the evidence” (158). The same, of course, applies to Christians or believers in various faiths. Their own presuppositions guide their thinking and discernment of probability structures. Again, there is no neutral worldview. “To admit one’s own presuppositions and to point out the presuppositions of others is therefore to maintain that all reasoning is, in the nature of the case, circular reasoning. The starting point, the method, and the conclusion are always involved in one another” (130). 2) We should be modest when comparing our worldview to that of others’, realizing that our presuppositions cannot be the basis for rejecting the claims of competing noetic structures. Parrish, Stephen. God and Necessity. University Press of America. 2001. Van Til, Cornelius. Christian Apologetics. P & R Publishing. 2003. The preceding post is the property of J.W. Wartick (apart from citations, which are the property of their respective owners) and should not be reproduced in part or in whole without the expressed consent of the author.